Several Lt Colonels had challenged the policy contending it prescribed preferential promotions to officers of select branches. They say that all ranks of personnel from Colonel and above would be affected due to the biased promotion policy. A bench headed by Justice Tirath Singh Thakur is however expected to pronounce an order on the issue on September 16, the next date of hearing.“We assure that no board will be held till the next date of hearing for promotions from Lt Colonel to Colonel Post”, the counsel for Army told the bench. The significant submission came after Meenakshi Lekhi, the counsel of a number of Lt Colonels headed by officer P K Choudhary who had moved the apex court challenging the “discriminatory” policy requested for a speedy decision from the court saying Army went on with promotions as per the new policy causing severe prejudice to the petitioners. Lekhi said she was worried that the matter could not be heard at length on two occasions, including on Wednesday, and had to be adjourned even as the force went ahead with promotions. Justice Thakur then told Lekhi : “no nothing will happen. The Army is saying..they themselves have made a submission that no board will be held for promotions from Lt Colonel to Colonel”. Centre backed the policy claiming it was the only way towards a younger force. It believes the age profile of combat arms can only be lowered by increasing vacancies and reducing command tenures of the fighting arms. It says the age profile of unit commanders in Pakistan and Chinese armies was 35 and 40 years respectively and hence the age limit of battalion commanders in Indian Army also needed to be less. 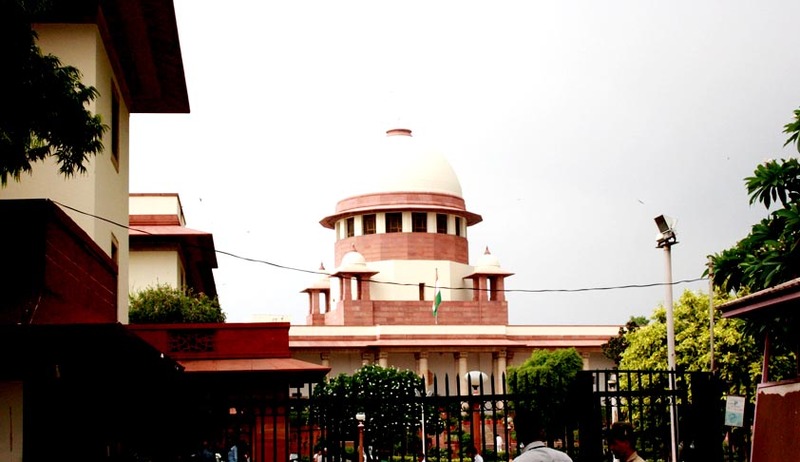 It is to be noted that on April 29 the court had threatened to scrap the policy fuming over Defence Ministry’s failure to produce the policy acceptance letter despite repeated requests. The 2009 policy which was quashed by Armed Forces Tribunal (AFT) had triggered widespread unrest within the Army with officers claiming it adversely affected them and was highly skewed in favour of Infantry and Artillery, as compared to other branches of the Army. Defence ministry had moved the apex court against the AFT order. “A mere statement on affidavit that you approved the policy will not suffice. Where is the acceptance order …show us the order signed by the raksha mantri or the prime minister and please do not show any letter written to somebody by any desk officer”, an angry justice Thakur had told Additional Solicitor General Maninder Singh who represented the Defence Minister. “Satisfy us where is acceptance letter by the government we will give you the fullest opportunity..we find there is no such decision expressed in words and just like your are inferring we are also forced to infer. But sorry to say this is not the way it should be”, the bench had said.